Today’s shot continues the theme of cinema and movies and presents another set of interactions for a Movie App. Do you like Movie? I like so much. Every weekend I see one movie. 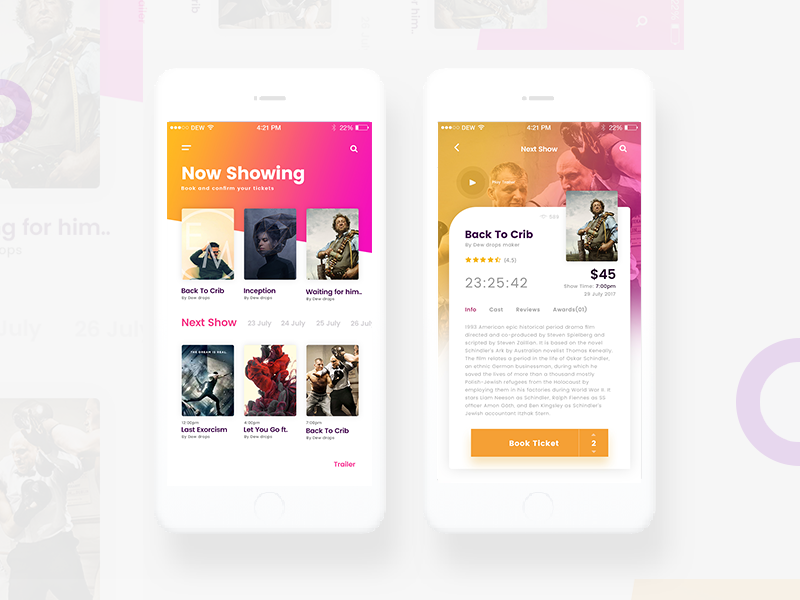 anyway recently I designed a movie app. Don’t forget to check the attachment for a better experience.